In light of the conversations about police abuse, unwarranted stops and arrests, and homicide cases involving Black people and police officers, many Black people get angry, maybe have a march, and then go home to await the next incident. Some of our organizations do their usual thing by making loud threatening statements and then get back in line until the next crisis hits. Amos Wilson said, “Until our behavior changes, the behavior of those who oppress and abuse us will not change.” In other words, the onus for change is on us. Many of you may not know about the Uniform Reporting Law Enforcement Improvement Act (URLEIA), which is proposed legislation that calls for the creation of a National Office of Civilian Oversight that hosts meetings across the nation to garner citizen input. Law enforcement agents, their spouses, and unions are not permitted to attend or participate in the Civilian Oversight Conferences. These conferences are essentially designed to create policy that governs policing. Police unions and associations are largely responsible for developing the policing approaches we see in effect today; URLEIA will change that practice. This legislative proposal is provided by ONUS, Inc., and Black Communities United for Progress (BCUP) for presentation to members of the United States Congress and the president of the United States. Now that’s what I call proactive work that will have a direct and positive effect on Black people. This is not just rhetorical bombast; this is attacking the problem of police brutality from a practical, logical, and legal perspective. Immediately after a White woman was shot and killed by an illegal immigrant in San Francisco, Bill O’Reilly called for what he titled “Kate’s Law” to be passed by Congress. Within days 600,000 signatures were collected and members of Congress went to work to get the proposed law passed. They held hearings and brought the family of Kathryn Steinle to Washington to testify. They got swift action. So where is the Tamir Rice law against cops shooting 12-year-olds in less than two seconds? Where is the Eric Garner Law against police officers choking a man to death? Where is John Crawford’s Law that punishes department store employees for lying to 911 and cops from killing a person for holding a BB gun that is on the shelf of that store? Where is Sandra Bland’s Law that would send a cop to jail for falsely arresting a young lady who questioned why she had to put her cigarette out while seated in her own car? Why hasn’t O’Reilly’s TV news counterpart, Al Sharpton, gone to his good friend, Barack Obama, and all his friends in the Black Caucus and gotten them to hold hearings and write Sandra’s Law? Instead of real action, we see our vaunted politicians genuflecting before the powers-that-be and our “Black” organizations – the NAACP and Urban League – walking 860 miles and issuing an annual report that tells us how bad our situation is. This is exactly why we need and must support ONUS, Inc. and its URLEIA legislation. Instead of symbolic gestures, “ONUS is calling upon Congressional leaders to sponsor, endorse and enact the provisions contained in URLEIA in order to stop law enforcement agents from wreaking havoc on Black Americans…” says Jerroll Sanders, ONUS, Inc. president and CEO. Sanders states, “The contents of the URLEIA legislative proposal stand in stark contrast to H.R. 2875 — a bill titled the Law Enforcement Trust and Integrity Act of 2015 that is currently making its way through Congress. While H.R. 2875 provides additional funding for grants and U.S. Department of Justice policing oversight activities and promotes the creation of national training, accreditation and operating standards, it provides few real solutions to adequately address America’s racist policing problem. I would add that H.R. 2875 creates a National Task Force on law enforcement oversight composed of individuals appointed by the attorney general from various DOJ bureaus. The AG’s task force will consult with professional law enforcement associations, labor organizations and “community-based organizations.” Along with a few other loosely worded recommendations, of course, the usual suspects, to and through which funds would be channeled are named outright, i.e. NAACP and National Urban League. Please go to www.changeisonus. org and read the URLEIA legislation for yourself, and then support it by supporting ONUS. If all we do is say we need change, we will never obtain it. It takes work, and ONUS is doing that work. Get involved. 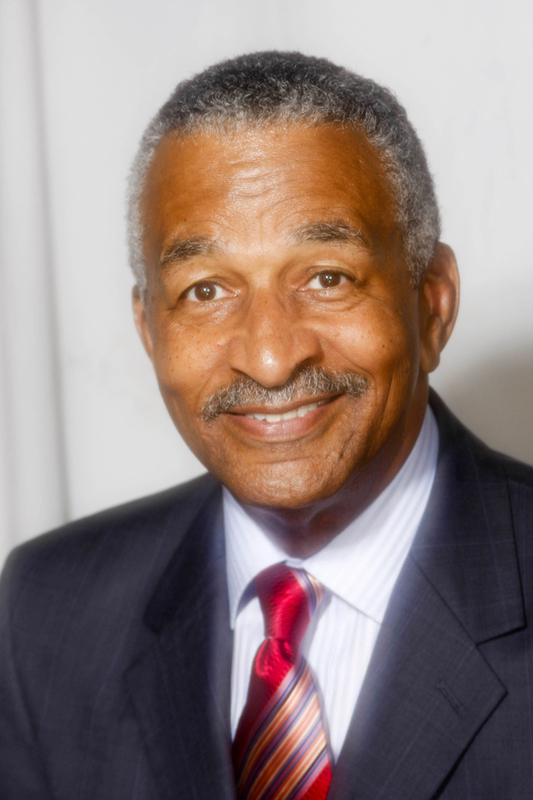 Jim Clingman, founder of the Greater Cincinnati African Ameri­can Chamber of Commerce, is the nation’s most prolific writer on economic empowerment for Black people. He can be reached through his website, blackonomics.com. He is the author of Black Dollars Matter: Teach Your Dollars How to Make More Sense, which is available through his website; professionalpublishinghouse.com and Amazon Kindle eBooks.